During the last two years, in the context of strategic planning, students, faculty, and staff have been in dialogue about Swarthmore’s strengths and challenges in fulfilling our commitment to cultivating a diverse and inclusive learning environment. The College has long been a leader in recruitment and retention of underrepresented students. Numbers are a critical component; however, they are only one facet of a diverse and inclusive learning community. Diversity is about getting people in the room together; inclusion is about what happens when they actually have to live and learn together; to recognize and appreciate their commonalities and differences; and when they ultimately understand how to communicate across those lines of difference and learn from one another. The way we think about diversity and inclusion recognizes a broad range of identities including, but not limited to, race, gender, socioeconomic class, religion, geography, and politics. Each member of our community brings a unique collection of identities and experiences that contributes to our collective dialogue. What is your ideal vision of a diverse and inclusive community at Swarthmore? 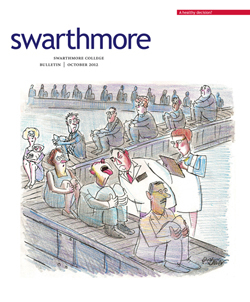 What does Swarthmore do well to encourage a diverse and inclusive community? In what areas can Swarthmore improve its diversity and inclusivity efforts? Based on what we have already heard, we are moving forward on several initiatives including bystander training (or how to intervene when you observe a conflict or behavior that threatens our community), reimagining our diversity workshop for new students, creating opportunities for students to engage with these issues beyond orientation, and seminars for faculty to consider issues of pedagogy and mentoring within the context of a diverse community. To reinforce our commitment to building a more diverse community, we held a symposium this spring. Beverly Daniel Tatum, president of Spelman College, scholar, teacher, and race relations expert, was our keynote speaker. Part of what she shared with us was her “ABC approach to creating climates of engagement on diverse campuses.” In this approach A stands for affirming individual identities, B represents building community, and C is for cultivating leadership. President Tatum’s model emphasizes that affirming individual identities on campus leads to building a stronger sense of community, which ultimately fosters leadership across campus. As we progress in developing our plan for heightened diversity and inclusion, we must commit to being a college where students feel they will be affirmed and celebrated for their unique and complex intersections of identities. We also hope they will feel deeply connected to a shared Swarthmore experience and community. When they leave Swarthmore, we hope they will apply the skills, tools, and experiences they learned as active, engaged members of our diverse community and go on to make a difference in the world—just as so many of you have done and will continue to do. 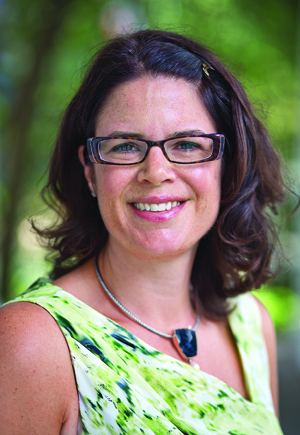 Liz Braun has been dean of students since July 2010.